A hilariously terrifying picture shared yesterday on Reddit has gone viral with over one lakh 'upvotes' and 3,000 comments. 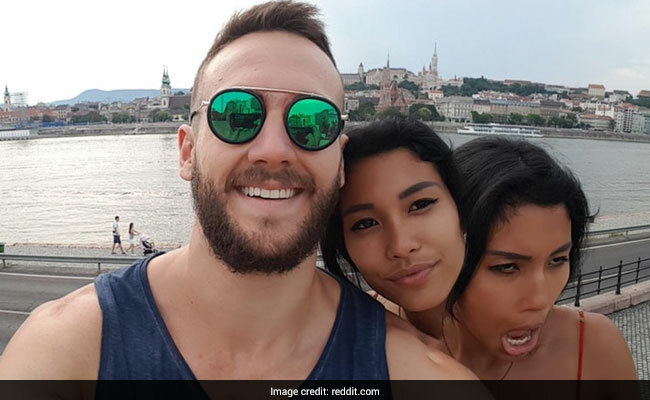 The pic, shared by a Redditor who goes by the name JuddJasper, shows a selfie gone wrong so that it appears as if the woman in it has two heads. "My phone has a wide selfie feature similar to a panorama. You need to sit still for it to work. My girlfriend sneezed, and this happened," explains the Redditor in his post. Any movement while taking a panorama shot can ruin a perfectly good picture, which clearly happened here. NDTV has reached out to the Redditor for a comment. Meanwhile, the picture has collected a host of hilarious comments on the website, with some comparing it to a scene from a horror movie and others simply laughing at the unfortunate timing of the sneeze. "Me on the inside vs me on the outside when someone makes me take a selfie," writes one Reddit user in the comments section. "She looks like one of those happy/sad double face theatre masks," says another.